“Beautiful Ruins” by Jess Walter is a story set in simple times and may be that is why I was so taken in by it. I had not read the earlier successful book by Jess Walter, “The Financial Lives of the Poets”. I have heard a lot about it and will read it now after having experienced his style of writing. 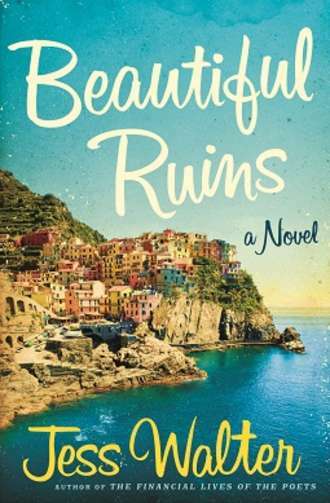 Beautiful Ruins is set in most places – coast of Italy, Rome, Hollywood, Idaho, and in England and Scotland, and that’s why I loved this book so much. The fact that Walter can take the reader to so many places is stupendous and shows his skill as a writer. The “beautiful ruins” of this novel is its physical setting; a tiny coastal village in Italy called Porto Vergogna (ironically translated as Port Shame). Here we are introduced to a young man named Pasquel, whose family owns the only hotel in town. He is determined to attract more tourists to this village and thereby improve the conditions of his hotel which he names The Hotel Adequate View. The book starts in 1962 when a young beautiful actress named Dee Moray arrives to stay at the hotel (earlier only one American had visited the hotel – Alvis Bender, a writer who only could not seem to write) and but obviously everything changes and the change occurs when Pasquel falls in love with Dee. The starlet one fine day leaves the island and Pasquel is left heartbroken but not without a mission. That is one part of the story. The book alternates between 1962 and the present beautifully in the form of letters, character sketches, lives lived, old letters, novel excerpts and movie pitches. There is a lot going on in the book and the reader has to get used to that (which can be very difficult) before falling in love with the writing. Beautiful Ruins as a title is most symbolic of what was once beautiful is in ruins and all things beautiful eventually turn to ruins. The slippage in time is symbolic of this fact. “Beautiful Ruins” is a beautifully composed, philosophically written and highly entertaining novel. It can get a bit dragging at times but at the end of it all, it is so worth-it, once the reader knows the pace is picking up and going somewhere. There are private losses and gains in the book. Each character is beautifully etched and his or her own story to tell and how he or she is connected to the others. The characters of the past and present merge wonderfully to show readers Walter’s writing prowess. Like I said I only am inclined to read good books and I am glad I read this one. Highly recommended. This entry was posted in Books, Harper, Harper Collins, Literary Fiction, Review and tagged Beautiful Ruins, harper, harper collins, hollywood, Italy, Jess Walter, loss, Love, Present, rome on May 31, 2012 by thehungryreader. I love coming-of-age novels. They somehow manage to comfort me and make me believe in the goodness of the world. Yes they tend to do that. It has may be got to do with the fact that the protagonists are more human than the adults and have a perspective like no other. So it could be Holden Caulfield struggling with trying to make sense of the world or it could be Scout Finch who is trying very hard to hang on to the old life, as her world is falling apart. 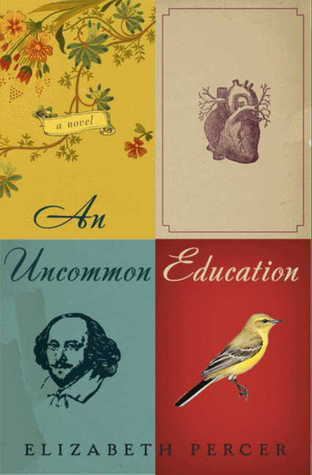 And with this I begin the review of yet another beautifully told coming-of-age novel, “An Uncommon Education” by Elizabeth Percer. Naomi Feinstein is a young woman troubled by life. She is surrounded by a father with a weak heart (and so she decides to become a doctor), a mother who is depressed and is not interested in her and her best friend Teddy (and also her first love so to speak) suddenly departs from her life, making it more so miserable. She tries dealing with the loneliness by running away from it. She is admitted to the college of her dreams – Wellesley College and hopes that life will change. But things do not. Naomi realizes that it will take some time for things to fall into place, but she is determined not to let others define her or her choices. She learns to save herself first through various means (the Shakespeare Club) and some of them actually work. Naomi’s happiness is soon compromised as she gets involved in a scandal and that is when she realizes the true meaning of life. An Uncommon Education started off as a slow read for me, however once it grew on me I could let go of it. Percer is great at setting the style, the context and the elements of the story. We follow Naomi’s life from childhood through college and experience all her ups and downs with her and that is what sticks with you at the end of the novel. The fact that Elizabeth Percer can make you feel for Naomi through her words is a marvellous feat. Elizabeth Percer writes with a striking clarity that may be at some point allows us to relate to the book at some level. You want to sit up and reach out to Naomi and let her know that things will be fine. At the same time, Naomi is the one who finds this out by living. By going through the proverbial rite-of-passage and by growing up to the realities that surround her life. This book is one of a kind. I highly recommend this novel. I would definitely re-read it later at some point. This entry was posted in Books, Harper, Harper Collins, Literary Fiction, Review and tagged Adolscence, An Uncommon Education, betrayal, coming of age, Elizabeth Percer, harper, Heart, Love, mental illness, Scandal on May 31, 2012 by thehungryreader. It is not easy to take a classic film and write about it. It is also not easy to comment on it besides working on the script and also on the translation. But that is what Dinesh Raheja and Jitendra Kothari have managed to do brilliantly of the movie, “Sahib Bibi aur Ghulam”. Published by Om Books, the book is a compilation of the original screenplay, translation, essays, and interviews. 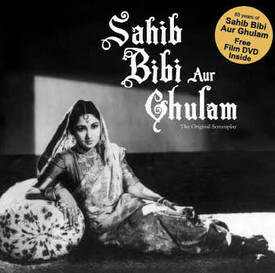 Directed by Abrar Alvi (yes I was surprised as well, I thought that it was directed by Guru Dutt all along), the film in brief is about a woman named Chhoti Bahu (portrayed breathtakingly by Meena Kumari), who is defiantly struggling against a life of material privilege (by marrying into money) but personal. Her solitude is minimized by Bhootnath (Guru Dutt as the subtle servant and one of his best performances), her male confidante, with whom she shares all her joys and sorrows, hopes and aspirations and how she feels and waits for her husband’s (Rahman’s) love, to the point of becoming his drinking companion. I found this very striking for a film which released in 1962. The fact that a woman could be shown drinking on screen, in that aspect the movie was way ahead of its time. Amidst all this is Jaba (Waheeda Rehman in a graceful role) waiting for Bhootnath’s love. The film is set in 19th century feudal Calcutta and based on the novel, “Shaheb Bibi Golam” by Bimal Mitra. Dinesh Raheja and Jitendra Kothari try and bring out the finer elements of the film through the essays, which define Guru Dutt’s (as a producer and director) pre-occupation with the themes of longing, unrequited love, the bygone era and the subtle emotions in relationships that need not be named all the time. What I liked about the book was Waheeda Rehman’s interview, which delves into Guru Dutt’s personality and what it was like working for and with him. What I did not like was the fact that there could have been more essays. I would have liked to know more about the movie, almost every nuance, as this is for sure one of my most favourite Guru Dutt film. Sahib, Bibi aur Ghulam is a classic and being directed in Black and White does not give it that tag. It is more than that. The way emotions are brought to screen and made alive by actors is all what the movie is about. Truly a classic that can be watched again and again. The book is made available with a DVD of the movie. Do watch it if you haven’t already. This entry was posted in Books, Film, Non Fiction, Om Books, Review and tagged Abrar Alvi, Bimal Mitra, Dinesh Raheja, essays, Guru Dutt, Jitendra Kothari, Meena Kumari, Om Books, Sahib Bibi aur Ghulam, Screenplay, translation, Waheeda Rehman on May 30, 2012 by thehungryreader. Smilla’s Sense of Snow is a treat to read. There is everything in it which a book can offer – some great writing, mystery, literary fiction, and a sense of dry humour in certain parts. Peter HØeg proves that literature can be both entertaining and artful. 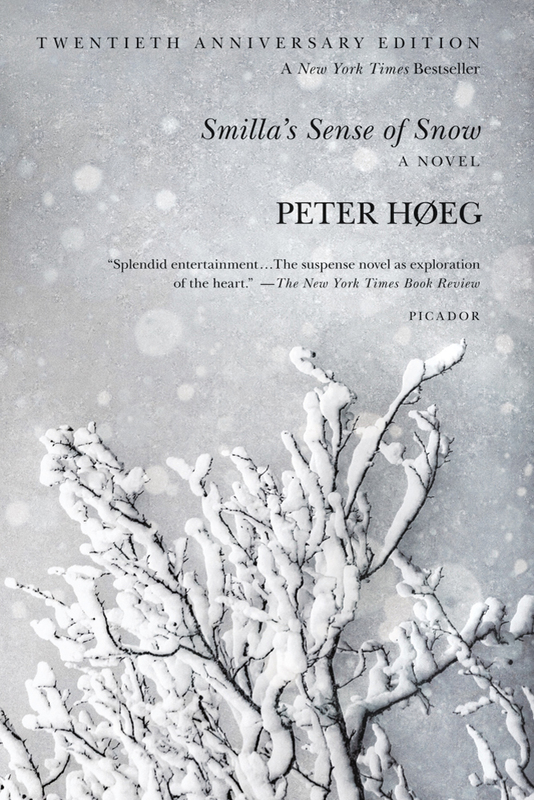 Though on the surface, Smilla’s Sense of Snow is genre fiction, it is beyond just being a thriller. Smilla’s Sense of Snow is based in Denmark and then takes the reader to the Arctic in order to solve a mystery. The book first released in 1993. I read it then and I have read it now and I must say that I enjoyed it more the second time round. Smilla Jaspersen – half Greenlander, half Dane, an unconventional loner and brilliant scientist, is struggling with her emotions (which she doesn’t display enough of) and is devastated when a young boy she had befriended mysteriously falls to his death from the roof of their apartment building. She doesn’t think it is an accident. From there on begins Smilla’s journey and the trail she follows to solve his murder. The writing is good. The story is wonderfully told. (I do not read books that do not interest me; hence the books that I read are brilliant) The setting could not have been better. However, what stands out the most in this book is the characterization of Smilla. Smilla is an ordinary woman (do not mistake her to be that anyway). She is bold, clever, smart, instinctive and reckless at the same time. She is a rule-breaker (doing it all subtly) and is not afraid to say things the way they are. Peter HØeg has created a woman who will not opt for the role society expects her to play. Smilla cannot connect with others and she knows that. She feels bad about it but she knows her limitations and that’s what I love about the character. May be that is why she wants to bring justice to the one friend she had made. The descriptions are dense and required while writing a book that merges the setting and the mystery. One needs to mention the details and Peter HØeg has done a wonderful job of that. Smilla’s sense of Snow is not your regular mystery. It is surprising that at times it takes so much effort to read it, because of the intensity and how it is weaved through Smilla’s perspective and her way through the maze of questions and emotions. Smilla’s musings are another dimension to the book. I loved reading them (as and when they came along). They added spice and character to the book. In this world of Lisbeth Salander, I urge you to read Smilla’s Sense of Snow. It is as fresh and compelling as when it was first written. A brilliant feat. This entry was posted in Books, Crime Fiction, Literary Fiction, Mystery, Picador, picador books, Review and tagged crime, Danish, Greenland, literary fiction, mystery, Peter Hoeg, picador, Smilla's Sense of Snow on May 29, 2012 by thehungryreader. It is not easy to write a book with Jazz as the main character that is always lurking as the “backdrop”. In fact it isn’t easy writing about music at all; no matter how tuned you are to it and what your sensibilities are made of. 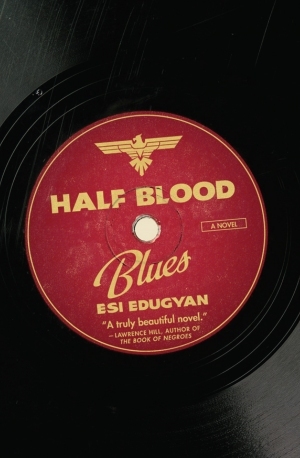 Esi Edugyan manages it wonderfully through his book, “Half-Blood Blues”. “Half-Blood Blues” alternates between 1992 and 1939/1940, whose major characters are three African-American men who met in Weimar, Germany playing together in a jazz group. The book brings out the world inhabited by these three men and their longings, passion, betrayal over the years, while the music silently plays on. The tale is narrated by Sid, and he moves in time, back and forth to unfold the story of a talented trumpet player, Hieronymus Falk. The musicians struggle against the growing danger of Nazism and each experience varying degrees of safety (or lack of it) in Europe based on their background and citizenship. One of the most endangered is Hiero, a German of mixed race who is taken by the Nazis one night and never returns. Sid witnesses this and the major focus of this novel is Sid’s guilt as he grapples with what he did and what he did not to save his friend’s life. The book in itself reads like poetry at times. Esi has a knack of writing and presenting the story in a manner that is graceful, lyrical and sometimes heart-breaking. The novel explores the other side of World War II, the persecution of Blacks and German “Mischlings” in Germany. What I loved was that the book is set against the backdrop of Jazz, which was then banned in Germany because of it being seen as, “degenerate”. So there are two biases – one against a set of people and second against a genre of music, both of which are wonderfully brought to surface by Esi Edugyan. Esi allows the reader to explore the world through Sid’s eyes, where everything is not wrapped up tidy and neat. She creates the historic context, allowing readers to live there for a while with her flawed characters. She makes you think about what it would be like to live in a world where everything seems and has gone wrong, where may be music is the only thing left that one can rely on completely and unconditionally. Music is the only thing that seems to make sense at times. Esi has a powerful voice though at times I felt disconnected from the book however came back to it to be enthralled for a while. Read it if music and identity interest you together. It is a great combination though. This entry was posted in Booker Prize, Books, Literary Fiction, Picador, picador books, Review and tagged booker, Esi Edugyan, germany, Half-Blood Blues, Jazz, literary fiction, Nazis, picador usa on May 29, 2012 by thehungryreader.